Reimagining Childhood Studies incites, and provides a forum for, dialogue and debate about the direction and impetus for critical and global approaches to social-cultural studies of children and their childhoods. 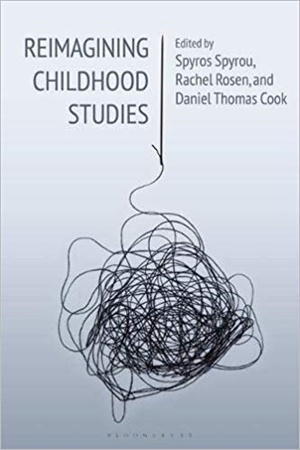 Set against the backdrop of a quarter century of research and theorising arising out of the new social studies of childhood, each of the 14 original contributions strive to extend the conceptual reach and relevance of the work being undertaken in the dynamic and expanding field of childhood studies in the 21st century. Internationally renowned contributors engage with contemporary scholarship from both the global north and south to address questions of power, inequity, reflexivity, subjectivities and representation from poststructuralist, posthumanist, postcolonial, feminist, queer studies and political economy perspectives. In so doing, the book provides a deconstructive and reconstructive dialogue, offering a renewed agenda for future scholarship. The book also moves the insights of childhood studies beyond the boundaries of this field, helping to mainstream insights about childrens everyday lives from this burgeoning area of study and avoid the dangers of marginalizing both children and scholarship about childhood. This carefully curated collection extends beyond critiques of specified research arenas, traditions, concepts or approaches to serve as a bridge in the transformation of childhood studies at this important juncture in its history.